Product Description: This dark puerh comes on strong quickly. 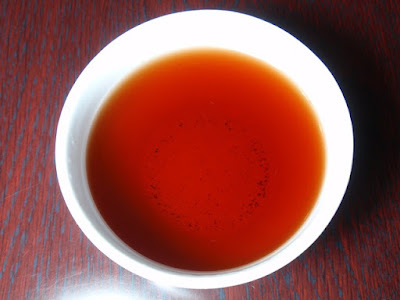 It will brew thick and dark at the beginning but then mellow into a light sweetness. The leaves are all small buds and carry the name "Imperial Grade"
The Bulang mountain range is the famous home to some of the best puerh tea gardens in all of Yunnan. 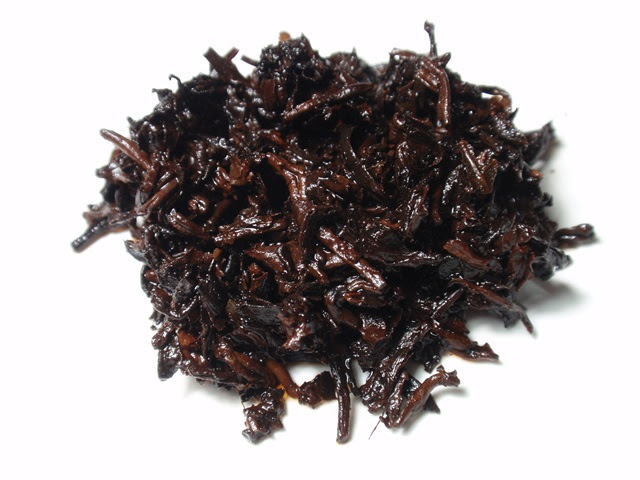 These leaves were harvested from trees 100 years old and blended by the Menghai Yunhe Tea Factory from different areas in Bulang at altitudes averaging 1600 meters. The dry leaves have a smoky, earthy, mossy aroma. 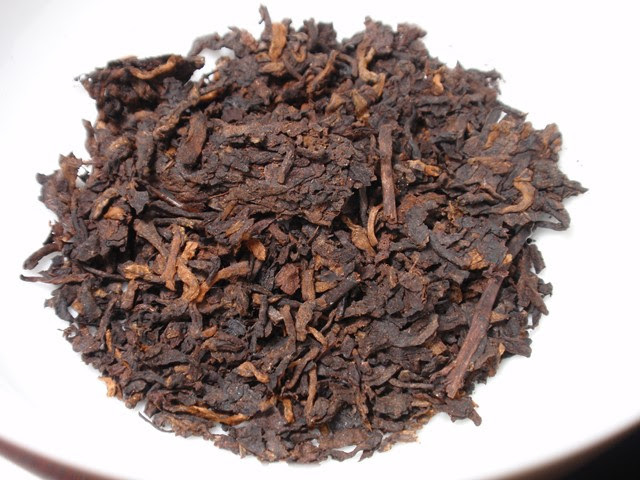 The aroma of the dark red infusion is earthy, smoky, and mossy with a rich earthy taste and a long finish. While the flavor became slightly lighter with a second infusion, it continued to be rich and bold for several more. 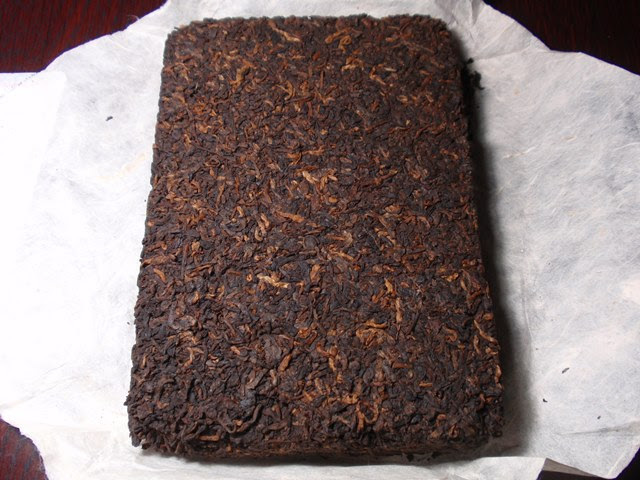 When preparing this puerh, I would recommend being generous with the amount of leaves used. It was delicious with only 3 grams of leaves and it would be even better with more.